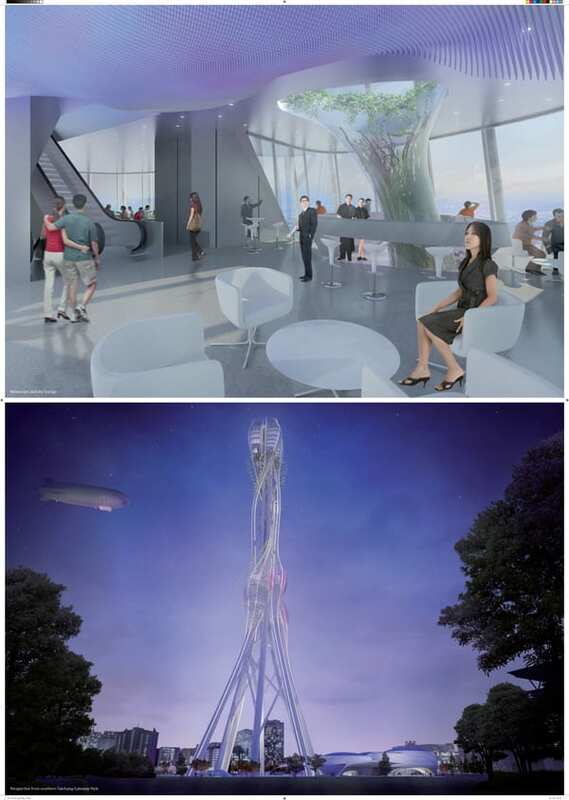 The sponsors of the Taiwan Tower Competition have managed to come up with a departure from a generic solution to an observation tower. 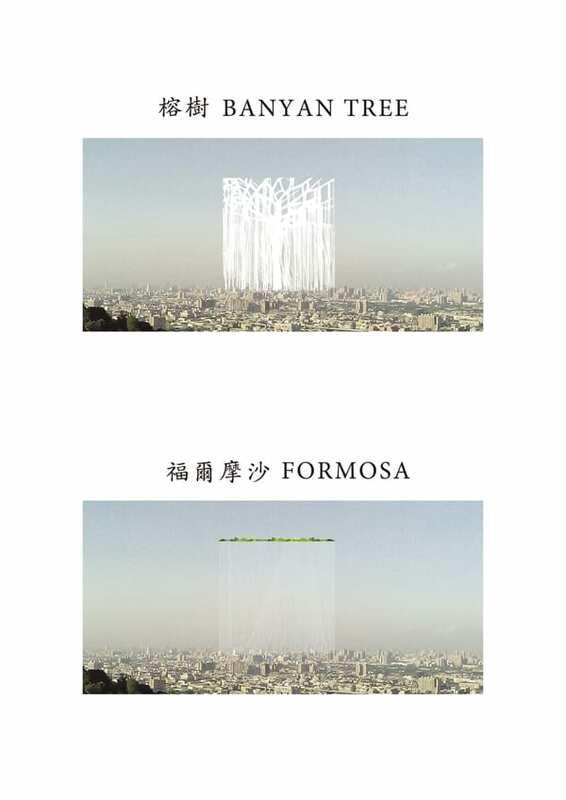 Instead of settling on the ubiquitous column with a sphere on top, they picked a green solution by the Japanese architect, Sou Fujimoto, which simultaneously conveys the appearance of a giant theater curtain, ready to reveal the unfolding of an interesting drama. Instead of illustrating the bare bones of a support system, the structure is shrouded in mystery, and, aside from its character as a model of sustainability, it should draw crowds of curiosity seekers for decades to come. 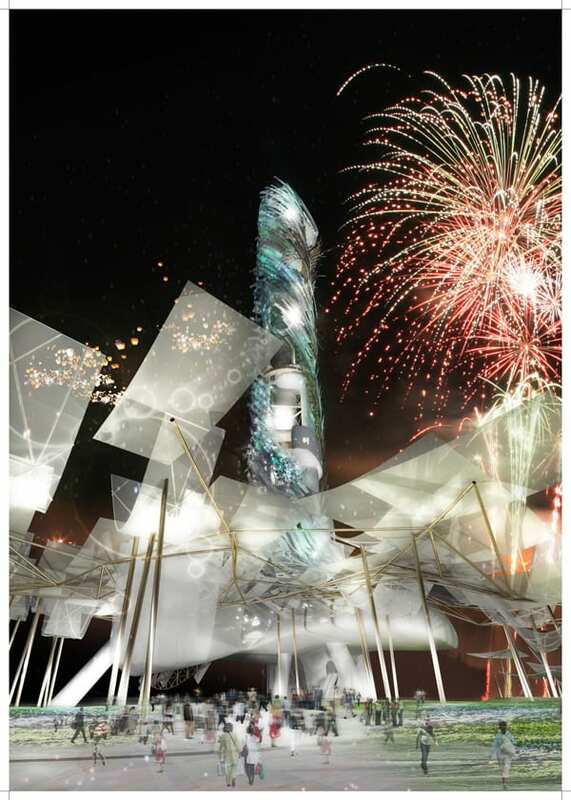 The competition drew 237 entries from around the world, and, instead of sticking with a single winner, the competition organizers ranked the finalists in two separate categories: a “conceptual” winner, and a “procurement” winner, with the latter receiving the commission to realize the project. 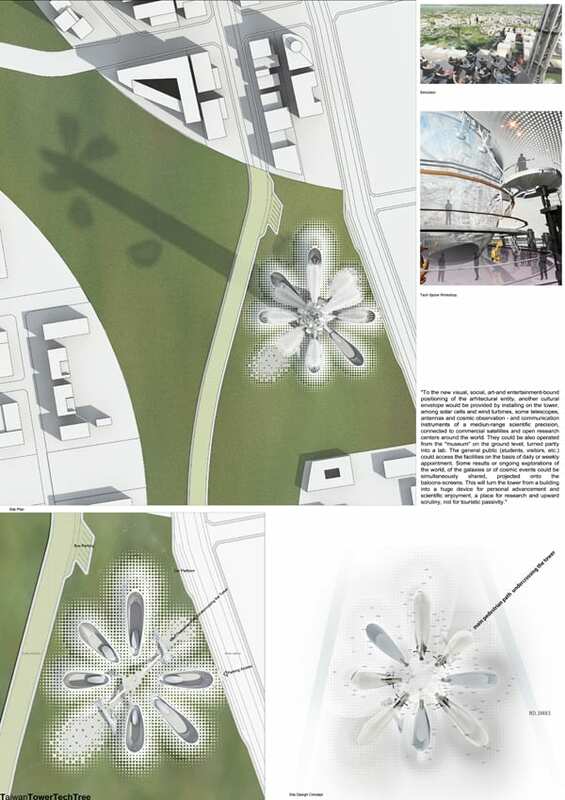 The “Conceptual Winner” was an entry from Romania, by Dorin Stefan, and the team chosen to realize the design was Sou Fujimoto. 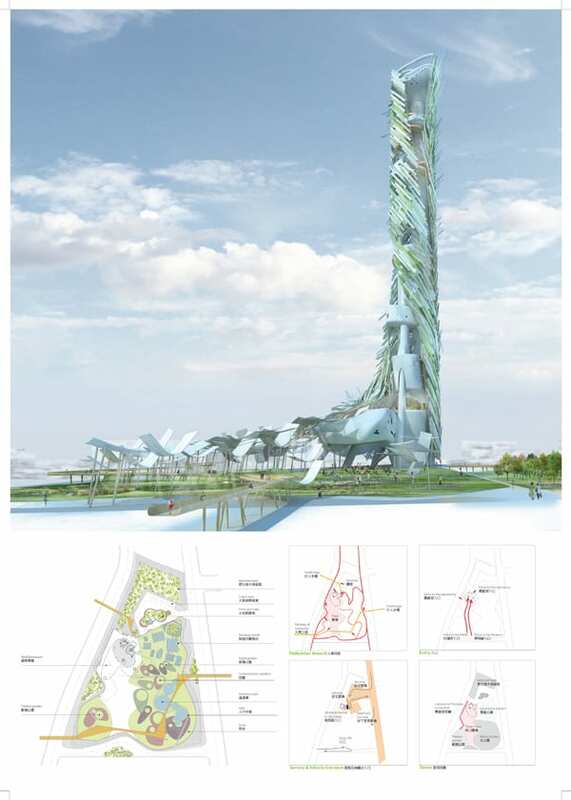 Located at the southern tip of Taichung Gateway Park, part of the former Taichung (Shuinan) Airport site, the Taiwan Tower is to act as a vista at the southern end of a major boulevard. 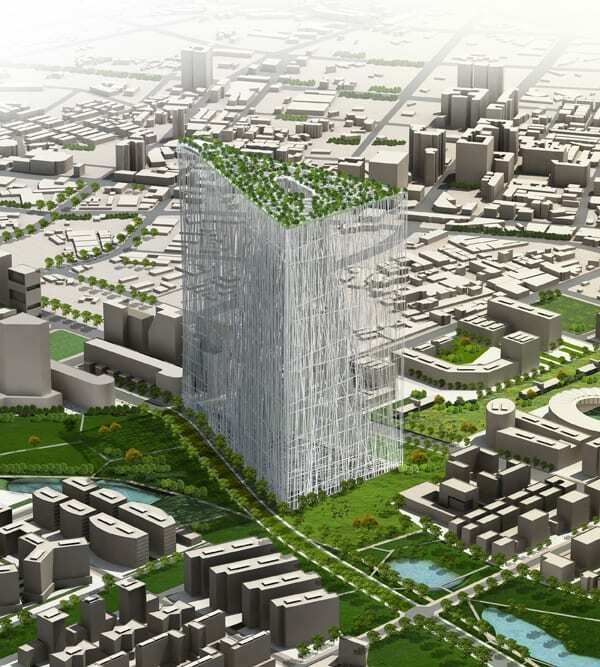 Measuring approximately one hectare, the site is situated across from the Taichung Gateway City to the north. 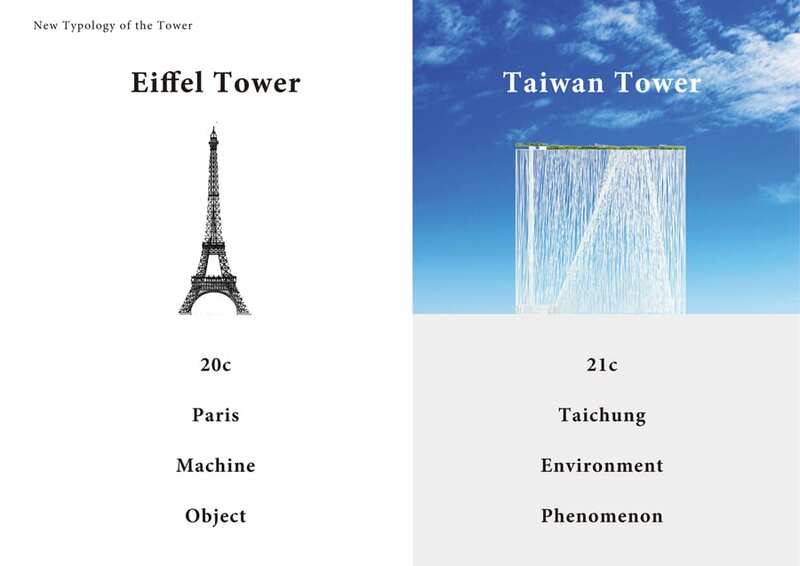 Though not aiming to compete in height with other towers of the world, the observatory of the tower was intended to provide visitors with a view of the Taiwan Strait, thus necessitating a height of at least 300 meters. 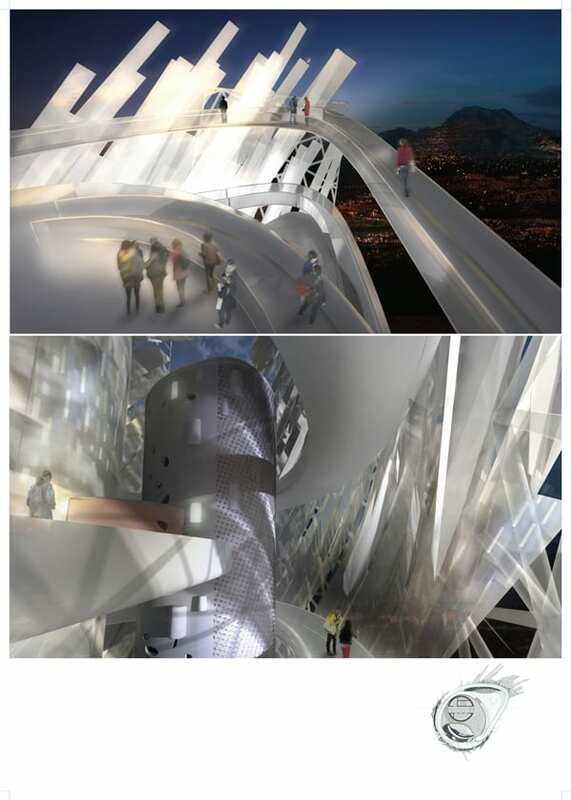 The site context and local architectural character should be integrated with 21st-Century building technology to symbolize the new Taiwan spirit. 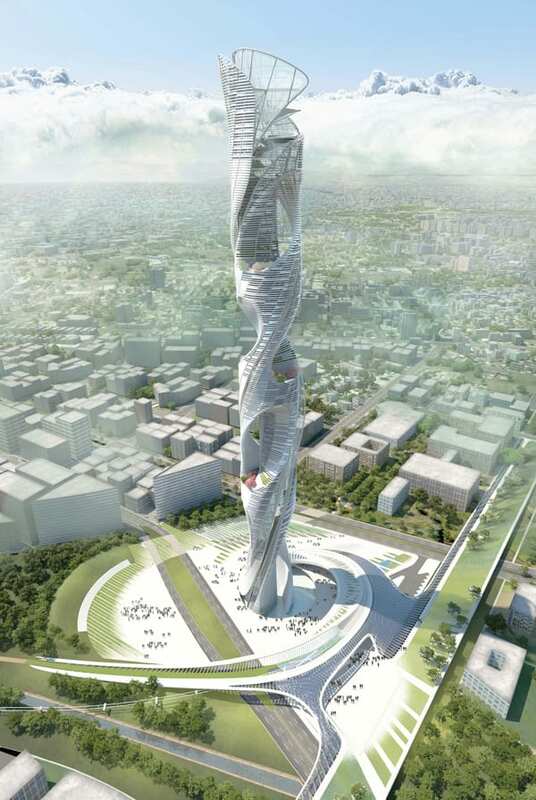 Taiwan Tower should also answer its call for environment responsibility and adopt the use of alternative energy. 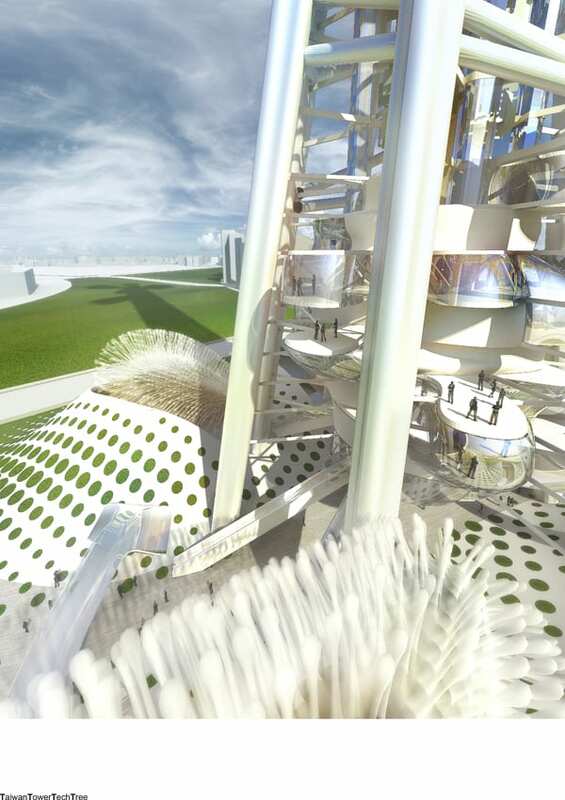 In implementing the energy conservation and carbon reduction, Taiwan Tower is to act as a model of green building for the 21st century. 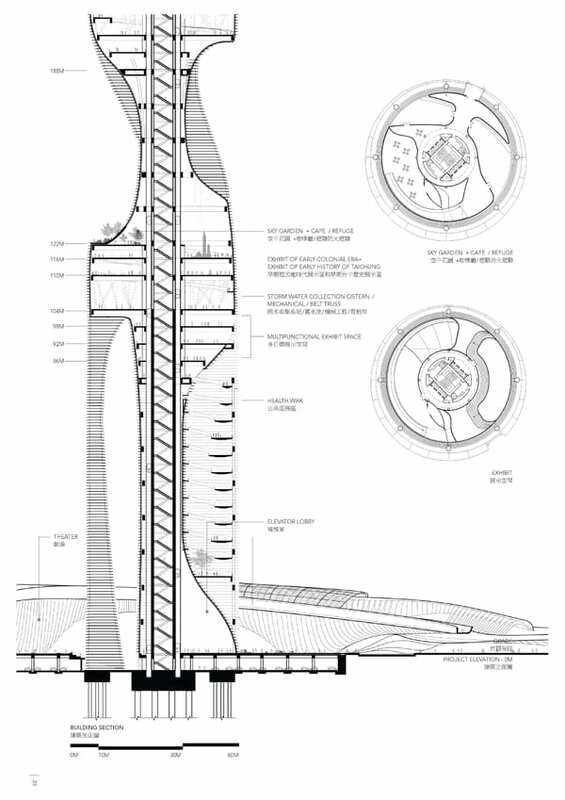 Lai & Associates, Engineers-Architects / Chao Chiun (Taiwan). There were also five honorable mentions, each receiving $3,200 each. 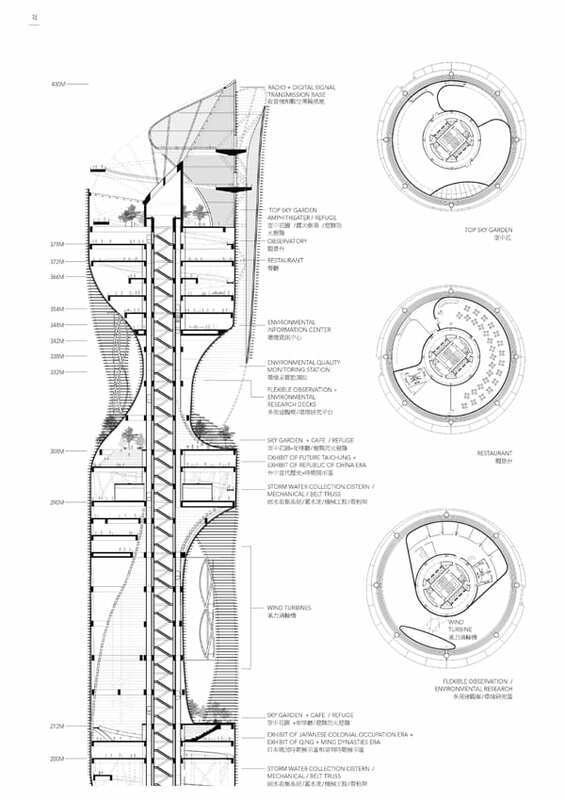 Not just about another totem with new lighting concepts, many of the competitors saw this as an opportunity to rethink the ubiquitous totem. 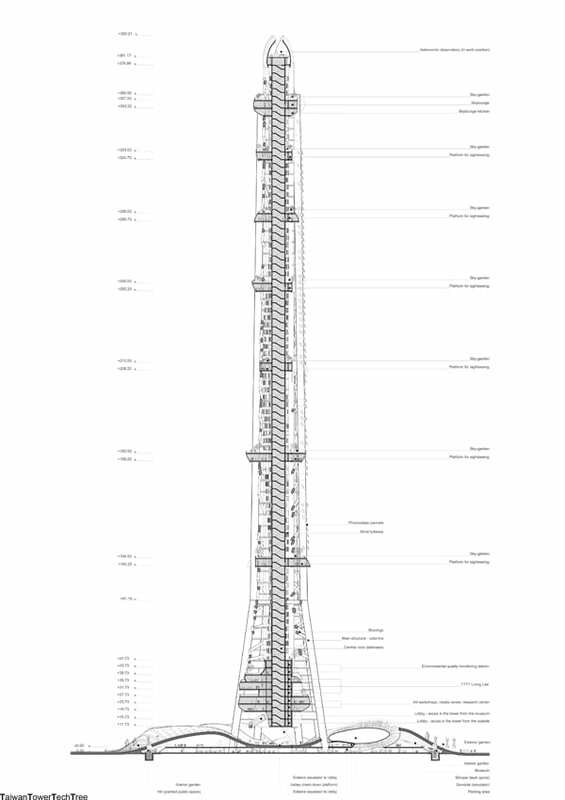 Wheres we are inundated with designs of new skyscrapers, each attempting to gain an advantage with a tweak here or there, this competition was not totally encumbered by the history of the Eiffel Tower. 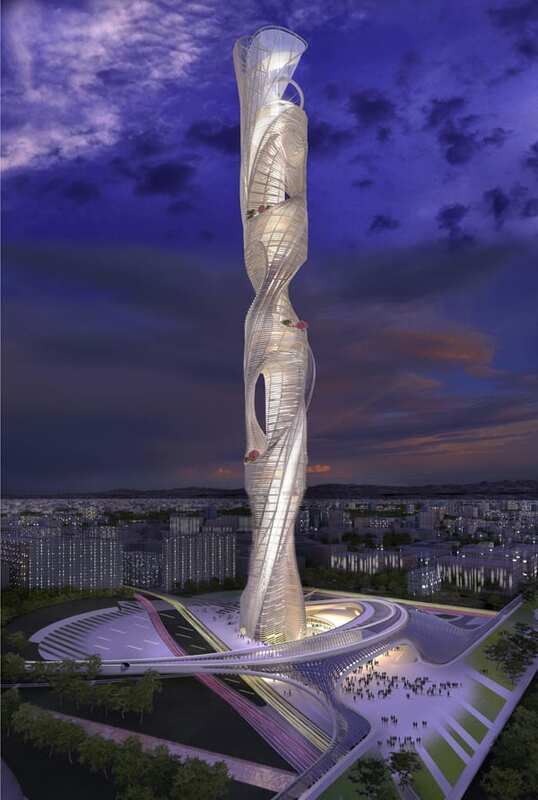 This design is characterized by the author as a marked departure from the language of the Eiffel Tower. 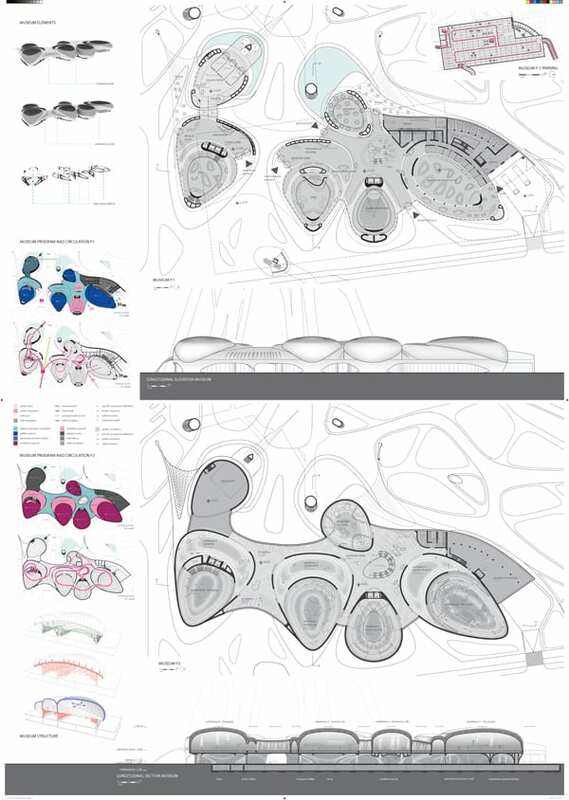 It more resembles a huge curtain, with a large interior space—the interior at grade can even be seen as a ‘backstage’ area, whether empty or swarming with activity. 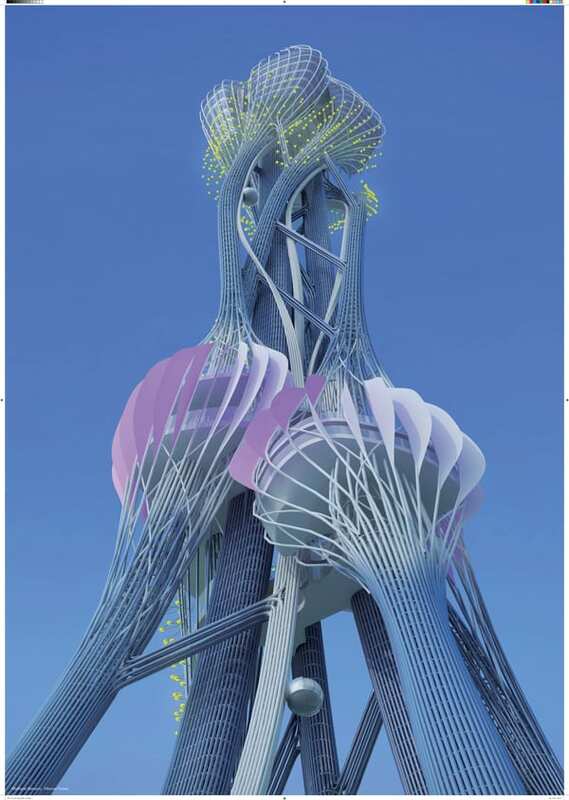 The form is supposedly inspired by the Taiwanese Banyan tree, which can create a shaded “semi-outdoor space.” It is topped off at 300 meters by a roof-top garden, “an oasis from the city for the people of Taiwan.” Contrary to the other entries, the structure occupies the site, with the only landscaping taking place on top. 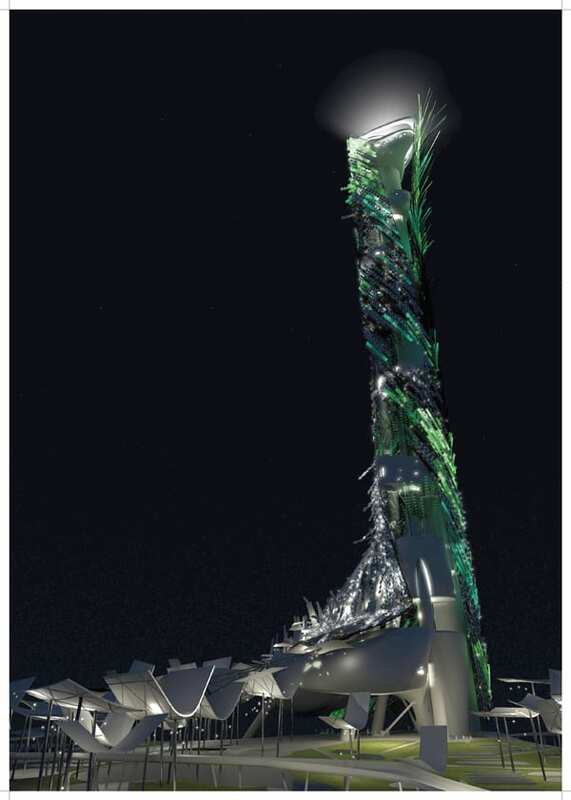 As for sustainability, the structures numerous energy-saving components indicate that it will qualify for Gold LEED level. 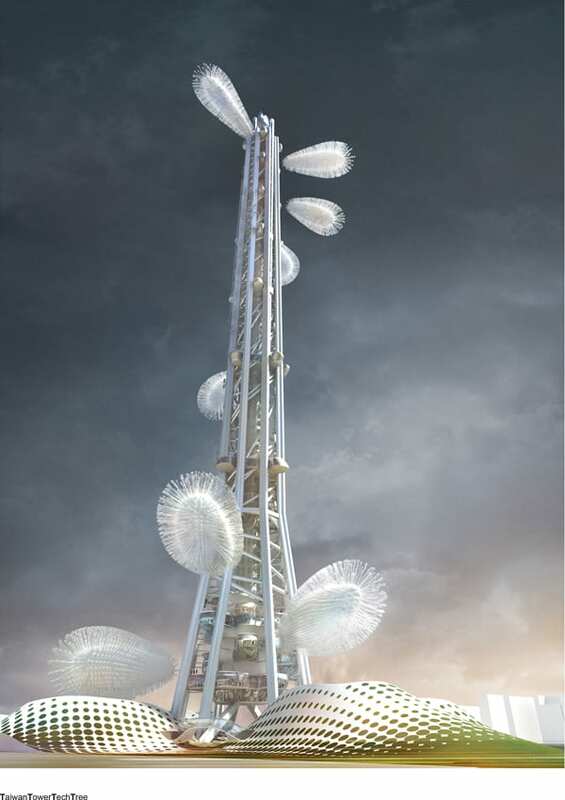 The lighting concept for the tower at night—with its continually changing patterns—promises to lend it an iconic status, second to none in Asia. 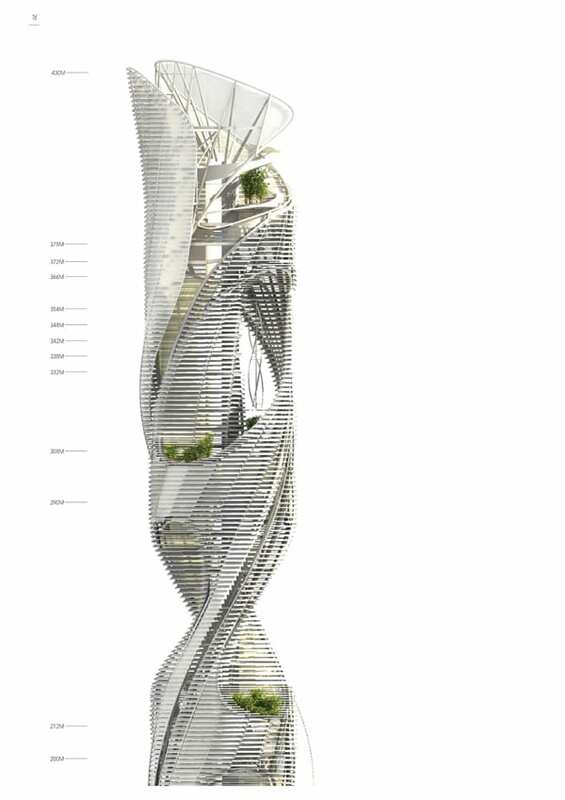 This entry is remarkable for its suggestion of movement, such as a shadow of a dancer might project. 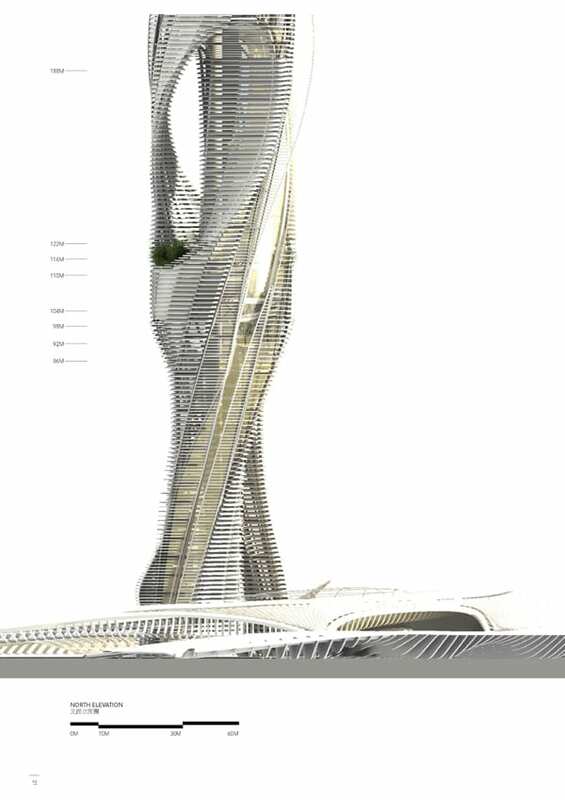 Material-wise, it is described as a “Fibrous tower,” a bundle consisting of many individual members merging into a complex of the whole. 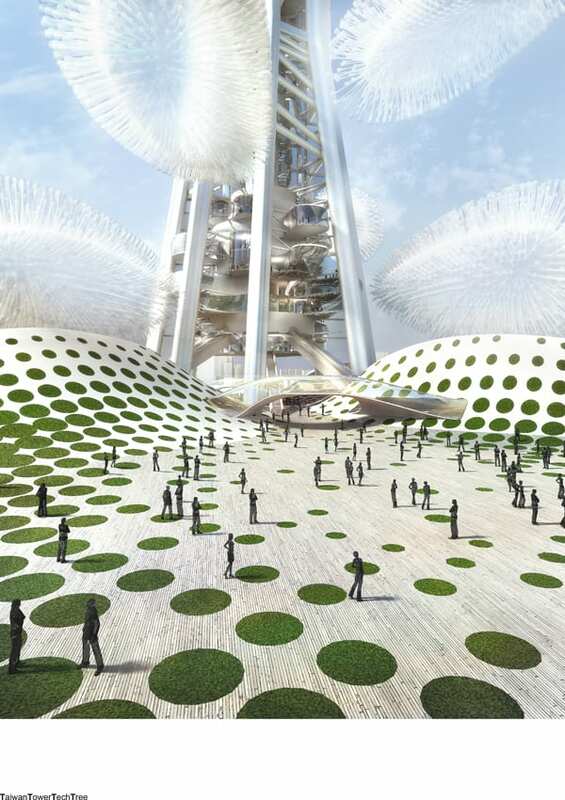 Dissolving at the bottom, it allows the park landscape to flow freely underneath. 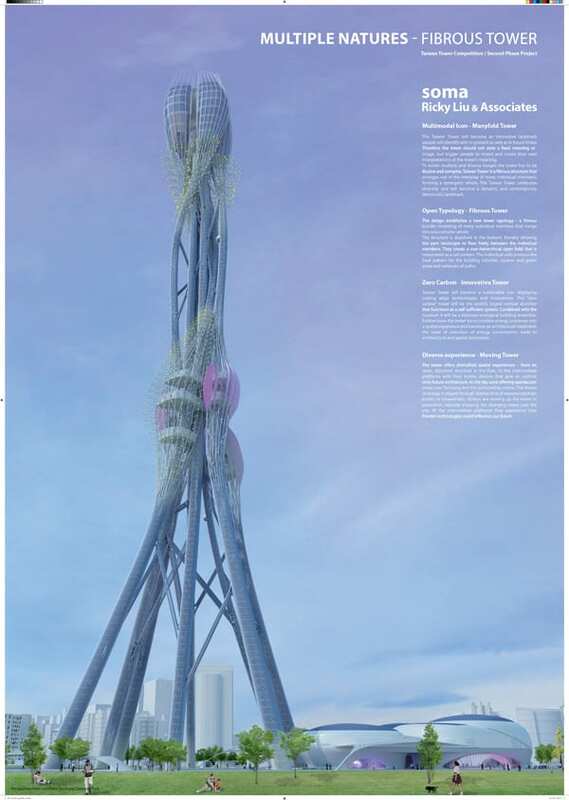 Kinetic devices at the intermediate platform levels serve to provide visitors with a “multi-layered experience.” The tower is to become a sustainable icon, displaying cutting-edge technologies and resulting in zero carbon emissions. 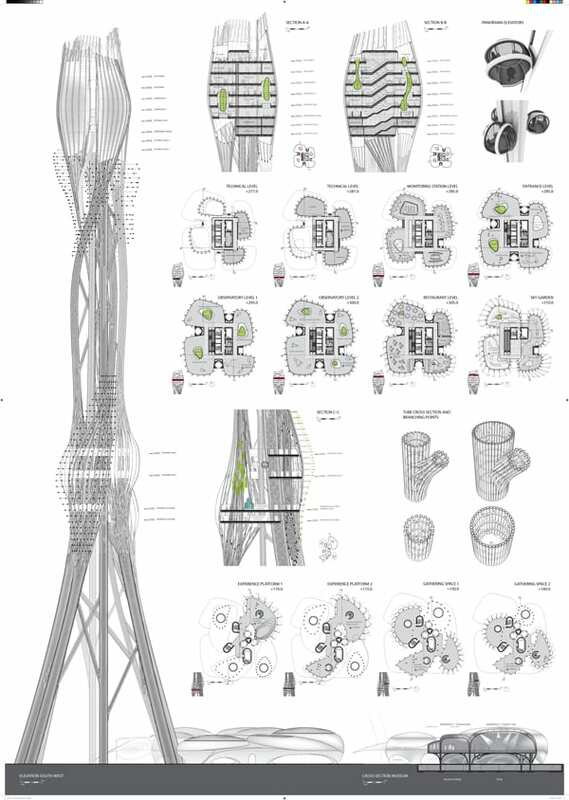 At first glance, this project, at least at the base, would seem to have much in common with the Eiffel Tower, except that it progressively becomes more in fused with energy as it rises. Here, static is not the byword. 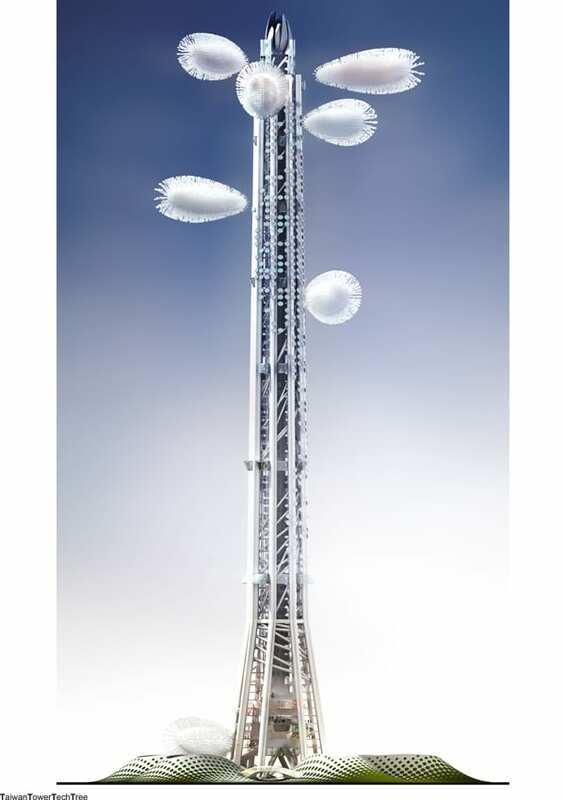 Certainly one of the more daring and unusual entries in the competition, the design by the Dorin Stefan team envisioned a tower with helium-filled observatory leaves (“Floating Observatories”) acting as transportation modules to the various levels up and down the tower. 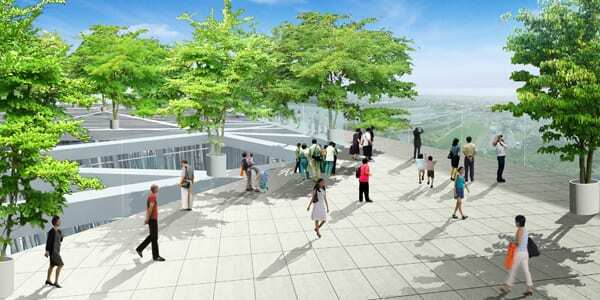 Each platform has a different function, some educational in the area of science, especially astronomy. 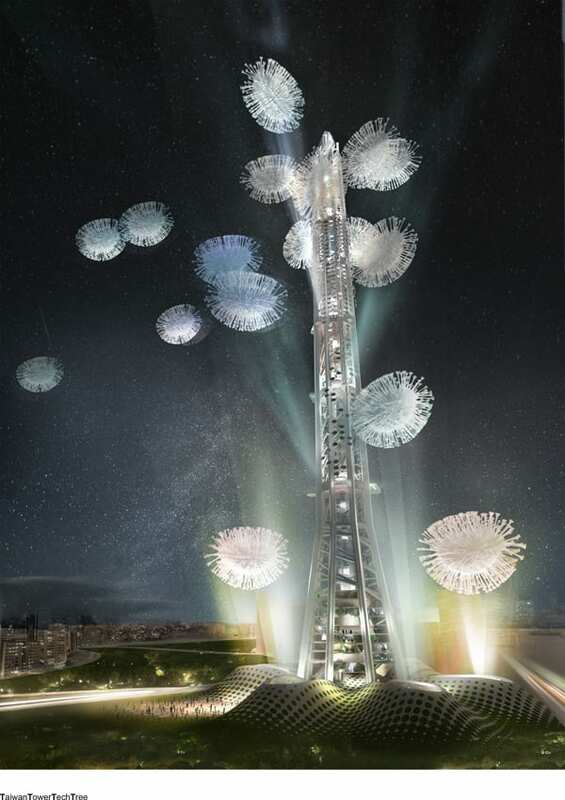 So the authors envisaged a tower where visitors could be actively involved in different activities and projects, rather than passive viewers. 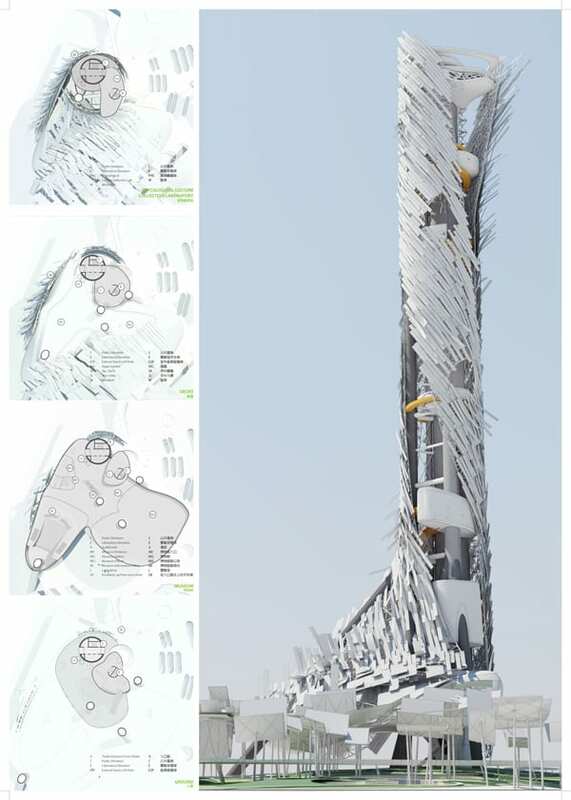 At about 390 meters, the tower is a model of sustainability, featuring geothermal heating, natural ventilation through the “chimney” effect, solar cells and axially mounted wind turbines around the building’s core for power. 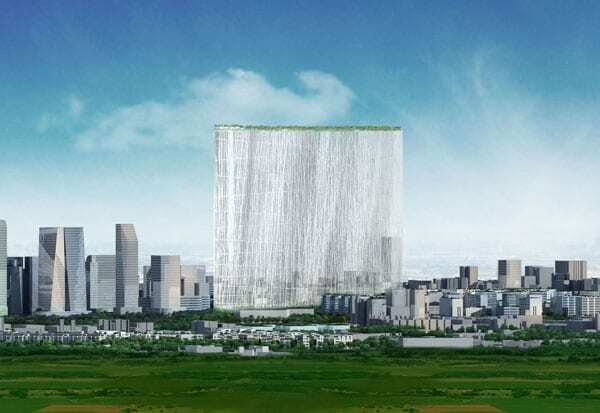 Despite the inventiveness and adventurous nature which this design represented, one might understand any government client’s reluctance to go ahead with this as a real project—the risk factor in this weather environment being the main obstacle. 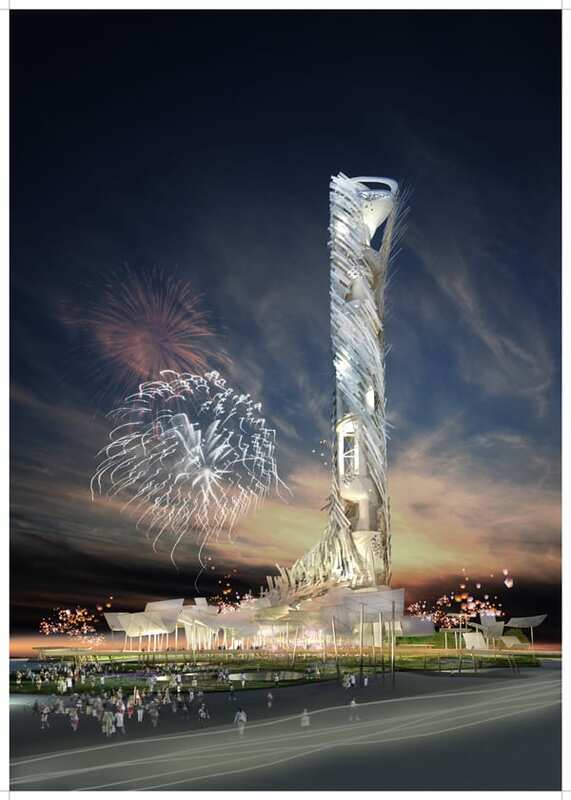 It does, however, start a conversation on new possibilities in tower design. Might it take somebody like Disney to actually realize a project of this nature? 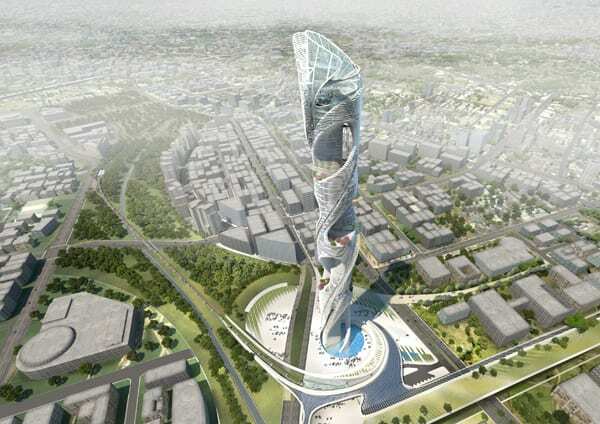 Undulations of the form are depicted by rotating view corridors which frame historically significant places within the city of Taichung, manipulating the tower’s program organization with a preset of geographic guidelines. 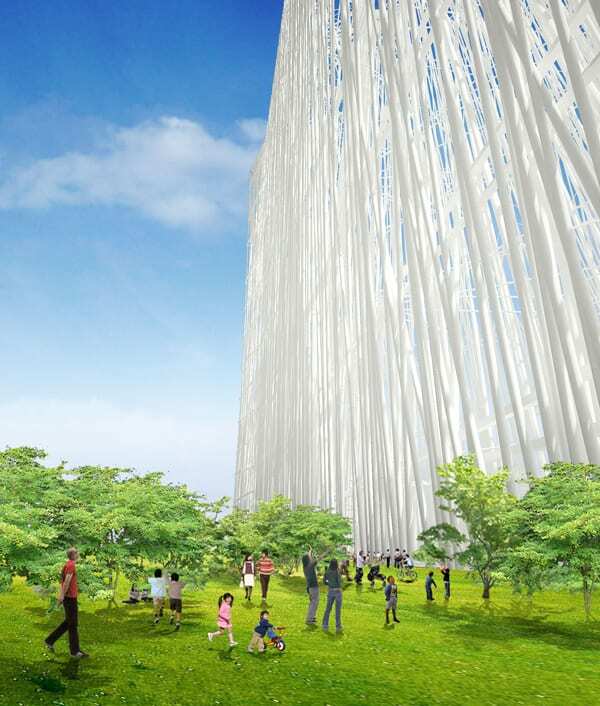 The tower’s vertical configuration maps the history of Taichung’s urban development, whereby the urban evolution of the city correlates to the vertical museum experience in both elevations (Time) and orientation (Place). 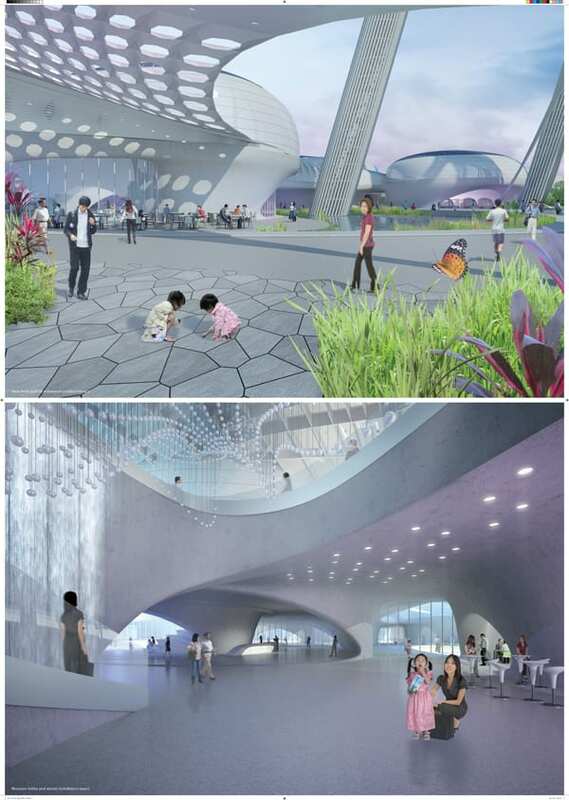 The multi-level museum atrium is oriented to create viewing platforms toward view corridors going back to the initial history of the city of Taichung, Taiwan. 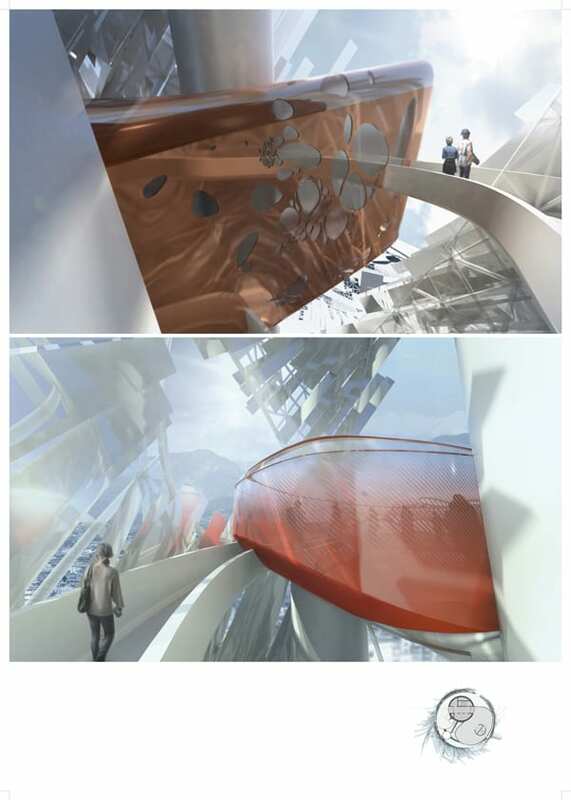 Supported by a structural network of vertical grains, the continuous vertical atrium wall forms a wall of stories to document the evolution of the place. 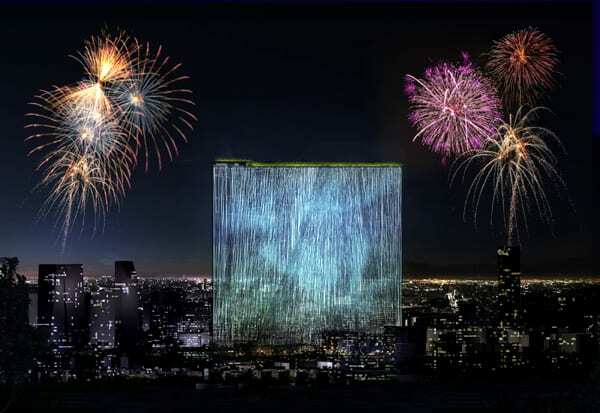 Visitors and communities may post their stories to this vertical electronic wall. Collectively, each serendipitous story is stitched together into a “tapestry of life”, thus a coherent and enlivened history is continuously being posted inside and out, evolving into a “column of stories”.